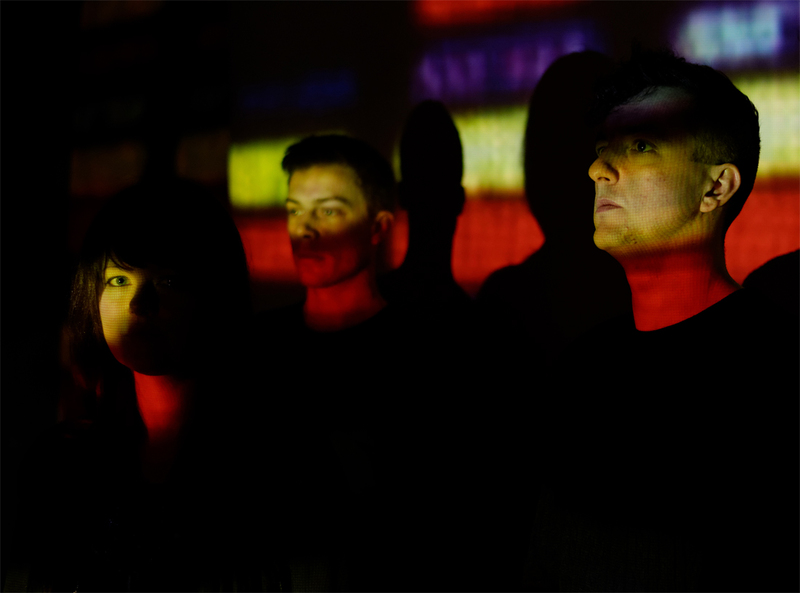 Andrew Darley talks to Laki Mera about their third album, Turn All Memory To White Noise, and the three words that describe their music: organic, emotional, electronic. 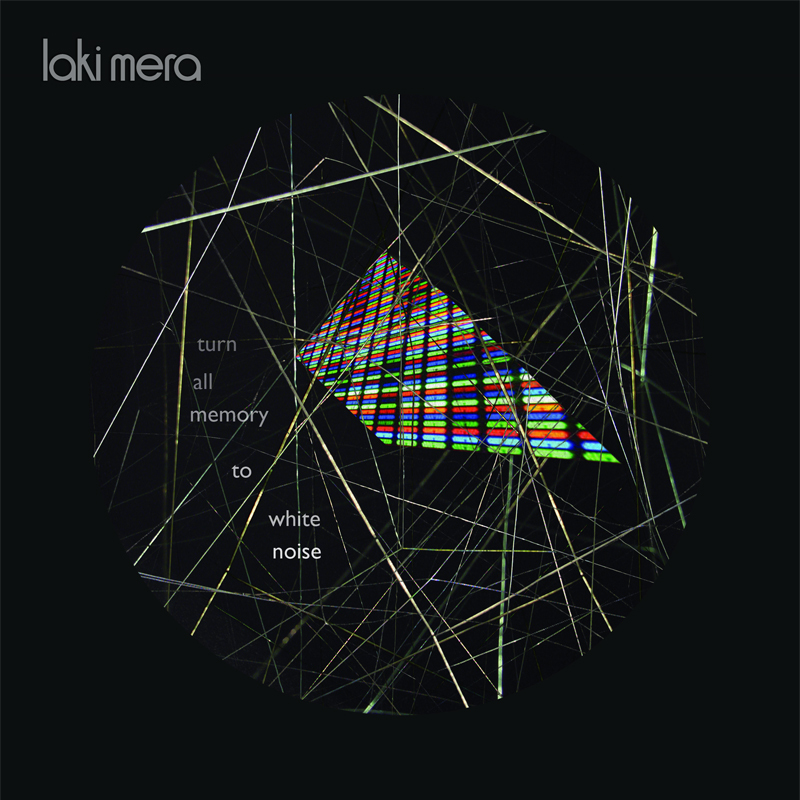 Formed in Glasgow in 2004, Laki Mera took their name from the Chimaera of Greek mythology to represent their music. Since then the band have gone through personnel changes and have released two albums. Though they may have fallen under the radar, the now three-piece are set to release their third record, Turn All Memory To White Noise. The title is taken from Margaret Atwood’s renowned sci-fi novel Oryx and Crake, referencing the feeling of the album: forgetting or escaping reality for a while and dealing with it afterwards. 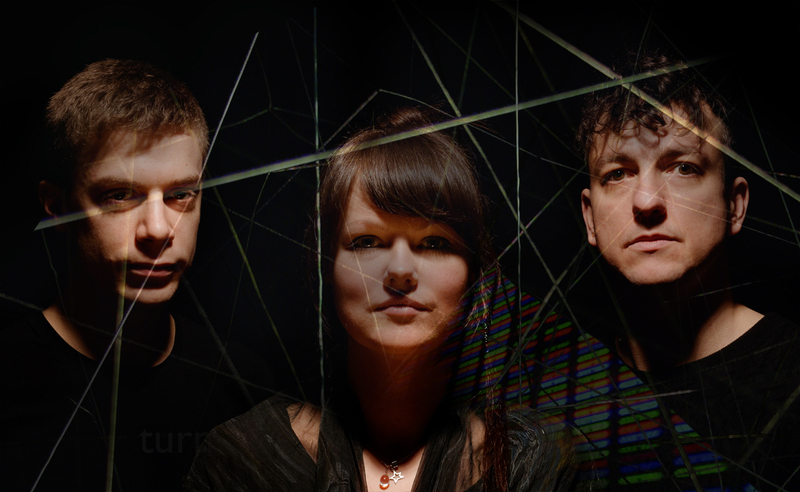 Their music infuses electronica, folk, trip hop and ambient sounds, which is fronted by the voice of Laura Donnelly. Polari chatted to the band about making the new album, the influence of literature on music and how they hope this album will garner the recognition they deserve. Turn All Memory To White Noise is your third album. Did you find you had a different attitude or confidence when creating this one? We’ve been together for about 10 years and the way we make music together has evolved over that time. We started out as a 6 piece and then worked as a 5 piece for a long time while we produced Clutter. It was very much an experiment in the early days, seeing what kind of sounds we could invent and combine. This record saw the departure of our drummer, Tim, so we are essentially now a 3 piece. I suppose in some ways that has enabled us to produce a much more cohesive, focused album. Was there anything in particular you wanted to achieve this time round after making and touring Clutter and The Proximity Effect? Trying to work to a deadline. We didn’t quite manage to stick to it but it forced us to work slightly differently and perhaps, again, made us a bit more focused. At the heart of the band, even right from the start, there has always been a wish to combine true, live, electronic music with a more acoustic, organic feel and I think with this album we’ve managed to push this a bit further. Can you tell me a bit about your background and how you came to be Laki Mera? Laura, coming from a singer/songwriter background, met Andrea, who had played in a few bands from Rock to Punk to Reggae and was finishing a Diploma in Sound Engineering. They started writing together and at the same time Andrea and Keir, a classically trained pianist, started to work on theatre and film scores. We all got together and formed the band with some other players. The early days were mostly fun, experimenting and drinking beer! How would you describe your sound to someone who has never heard your work before? Who were the bands or musicians that inspired you to make your own? Between the 3 of us we have a very wide and varied musical taste but where we all meet is with electronic music. To name a few: Aphex Twin, Massive Attack, Björk, Drexciya, Pink Floyd, Scriabin. The album’s title is a reference to Margaret Atwood’s book Oryx & Crake. What drew you to that book/line to represent the music? Keir recommended the book to Andrea and he read it whilst we worked on the album, he then passed it onto Laura. The line itself “turn all memory to white noise” just seemed to perfectly sum up the mood of the music we were creating but also touched us on personal levels and seemed very relevant to the ups and downs we’d faced as a band and as friends. Were there any other authors or literature that influenced the lyrics? Lyrically, Laura draws inspiration from many sources in everyday life including literature, art and design. Films can also be incredibly inspiring and make the imagination wander. Specific films inspiring this album include Beaufort, Séraphine and Black Swan. Do you think literature’s influence on music may be under-credited? I’m not sure about that, I think there have been countless pieces of music written either as incidental music for literature or inspired by it. As far as being under credited goes, I don’t think that it’s really a one way thing. Do you hear of much literature being written and a piece of music being credited for inspiration? I think if someone took inspiration from our music and created something that followed on from it then brilliant! I think most artists would feel the same and if asked what other art forms influence their own work, they might have quite a few to mention. How do the songs come together? Do you write collectively or as individuals first? Each song starts out in a different way, whether it be a complete, written song, an idea of a chord loop or a very specific feeling for a drum sound. But all go through the ‘laki mera production machine’ with the 3 of us pushing the tune/idea to it’s full potential – some take more work than others! Is there a point in the recording process when you know a song is complete, in that you collectively agree it has reached where you wanted it to go? Yes, definitely. Some tunes have a very clear idea of direction right from the start but there are some on this album that have been re-worked 3 or 4 times. But we always know when it’s finished. Did you face any challenges making this album? If so, how did you overcome them? There were some personal challenges in making this album. Due to other commitments Tim (drummer with the band for many years) started to pull away which felt like the end of an era for all of us. At the same time Andrea and Laura’s nine year relationship was coming to an end. As a band we managed to pull through it all and if anything, the album has probably benefited from all the emotions flying around. Was funding or resources an issue making the album? There are so many artists today who are using sites like PledgeMusic to get their projects off the ground. We have always recorded in our own studio which keeps the costs down massively. We share the studio with other musicians and producers and this makes the rent affordable for everyone. We are signed to Just Music based in London and we’ve been lucky enough that they foot the other costs of mastering, printing and promoting our music. PledgeMusic seems like a great scheme though and it just goes to show how much the music industry has changed and how musicians have to work that bit harder and adapt in order to get their music out there. Have you got any favourite songs on the album? I think we probably all have different favourites! But we are all happy with the tunes with live strings on ‘Red Streak-Cut Sky’, ‘Winter (There’s a Light)’ and ‘Keep Me Safe’. The string players we got were fantastic and just transformed those tracks. The video for ‘Sweet Warm Dance’ is stunning and quite striking. Also, the album and single artwork are quite cohesive in style. How does the visual side of the band come together? The video was made by animator Chris Curtis who also created a video for our song ‘Fool’ on The Proximity Effect. All other artwork is created by Laura who studied Graphic Design. Visual art and music are intrinsically linked for Laura with one inspiring the other. With us creating the album and single covers ourselves it means there is a close tie between the music and the visuals and a ‘laki mera look’ which runs through all the cover art. Are you looking forward to touring the album? How do you feel this material will sit amongst your previous work? We’ve been in rehearsals with our Glasgow album launch coming up – 17th July in Broadcast, Sauchiehall Street – and the new and old tunes sit side by side very well. We’ve never been shy of re-working tunes to keep things fresh either. Do you think you’ve grown or changed as a band since making your debut? Inevitably so. We’ve learnt a lot about ourselves and each other – we know each other’s strengths very well now so it’s a bit of a sleeker operation! What do you hope this new record will bring for the band? A bit more recognition would always be nice! But essentially we just want other people to enjoy it as much as we do. Turn All Memory To White Noise is released on July 15th, with an official album launch on July 17th in Broadcast in Glasgow. For more information, visit their website here: lakimera.co.uk.